Offering you a complete choice of products which include bosch lbd0606 ceiling speaker, bosch hl-01 horn speakers and bosch hl02 horn loud speakers. 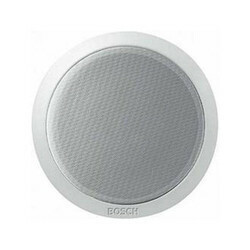 Our valued customers can avail from us an outstanding assortment of Bosch LBD0606 Ceiling Speaker. These products are manufactured from quality approved raw material and innovative technology at our vendors’ end. The offered products are highly demanded amongst our precious patrons. These products can be obtained at market leading prices. 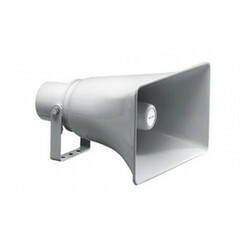 Moreover, we supply our offered Ceiling Loudspeaker at low prices. In order to fulfill the variegated requirements of our respected patrons, we are able to offer a supreme quality array of Bosch HL-01 Horn Speakers. In order to ensure their best quality, our quality analysts are examined these products against diverse parameters of quality. The offered products are broadly treasured by the patrons for their reasonable rates and perfect sound clarity. Our company is ranked amongst the reputed names in the market for presenting a high quality range of Bosch HL02 Horn Loud Speakers. These products are made by our vendors’ by the use of superb quality raw material and upgraded technology in accordance with set worldwide standards. Our valued patrons can avail this assortment from us in diverse specifications. Moreover, we offer this range to our customers at low prices.